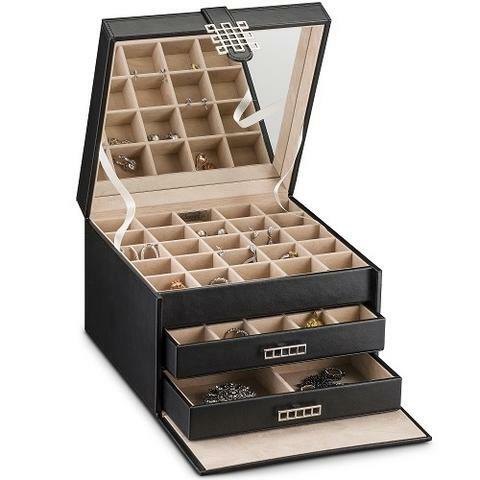 By far if you are interested in buying jewellery organiser or boxes for storing your watches and cufflinks, place an order at Dltradingau. As far as payments are concerned, you can pay for your order through your MasterCard, PayPal, VISA, and bank exchange. For payment through card, you will have to enter your pin and password in the space provided. If paying through PayPal, go to their webpage and do as you are instructed to do. Once you have placed the order and transferred the payment to their account, and they receive it, they dispatch your parcel from their store. If you have placed the order before three pm, they will release the parcel for delivery that very day, but if you place the order after three pm, your parcel will be released for delivery on the next working day. The parcel is sent through Australian postal service or any other trust worthy postal service depending upon where you want them to deliver it. In case you want to place an order that you want them to deliver somewhere outside of Australia, for that you will have to contact the company separately, as their online store and web pages do not show options for international orders or deliveries. While you place your order online, and are filling in your location for delivery, it is a must that you also give them a number, on which they can contact in case there is any problem. Is there a return policy and is payment refunded? In order to avoid any conflict with the company with respect to the product, it is highly recommended that you read all the details of the product especially its dimensions and carefully see its overall appearance so that you are familiar with what you are adding to your cart, and that you are not taken aback by shock or surprise on the time of its arrival. As they deal with honesty and will never mention anything in product description that it is not. However, if still by mistake there is some fault in the product, you should return it to the company maximum within a month along with its original packet and all. This is applicable for both cases of claiming refund or wanting an exchange with another model or some other item. Company is not responsible to pay you the deliver charges for sending them back the packet, if they do, they will only pay back the price of the item that you ordered for. And if you want them to exchange the previously delivered order, you will again have to pay the deliver charges for the new product. But if the company finds out that it was their mistake in the product sent being faulty, they take all the expense of shipment and will allow you to choose any one option out of replacing and refunding. And if your parcel is exactly like the one you saw online, enjoy using it as the company gives one year warranty on all its products. Previous Why Do We Need To Package Items?